Some time back now, at my Mother’s request, I made a quilt for my brother, who was not very well at the time. 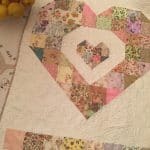 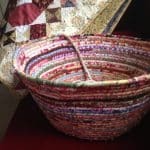 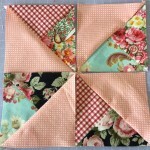 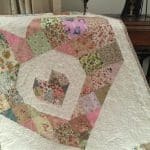 Because I needed the quilt quickly, I decided to make a quilt in big blocks, I wanted something easy but still a bit interesting and that was how I came upon the 10 Minute Blocks by Suzanne McNeill. 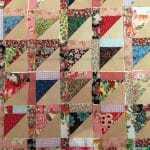 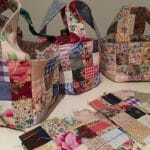 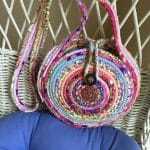 Each block is made from 5 x 10″ squares, and made by sewing only three seams with the centre block carefully sewn into the seams. 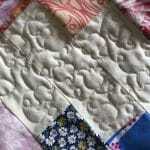 Afterwards the centre block edges are turned back and top stitched in order to give the interest of a curved seam. 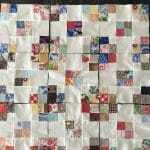 For more information look up 10 minute blocks by Susanne McNeill. 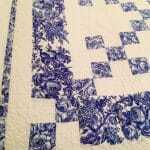 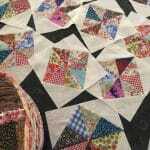 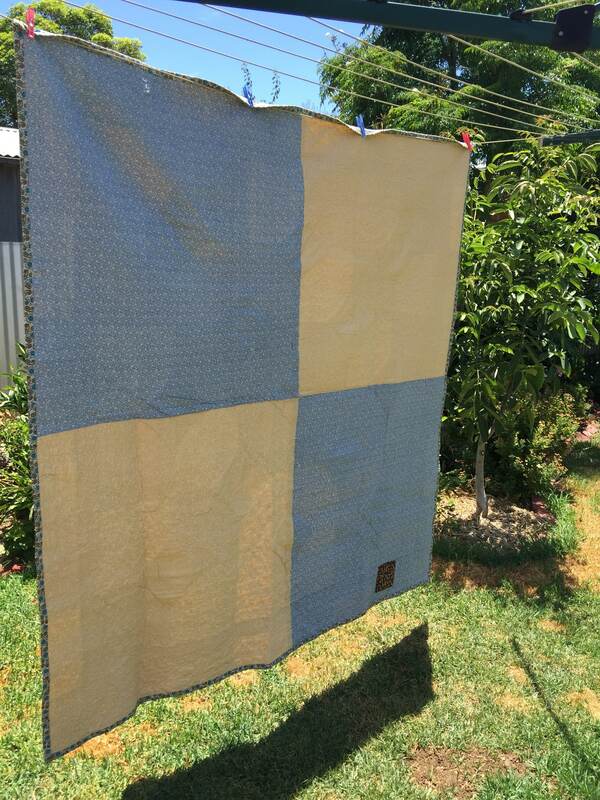 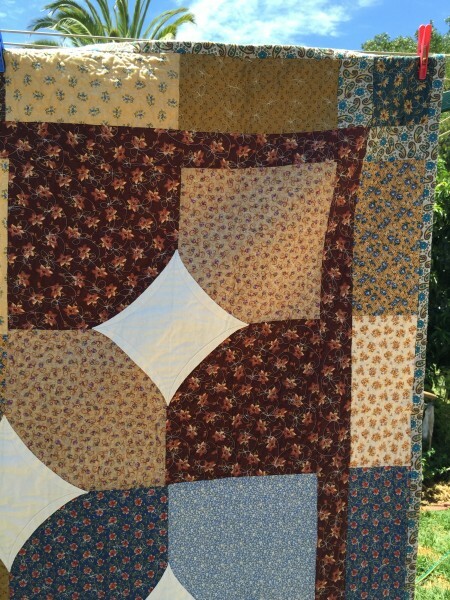 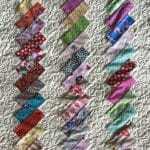 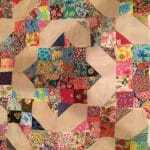 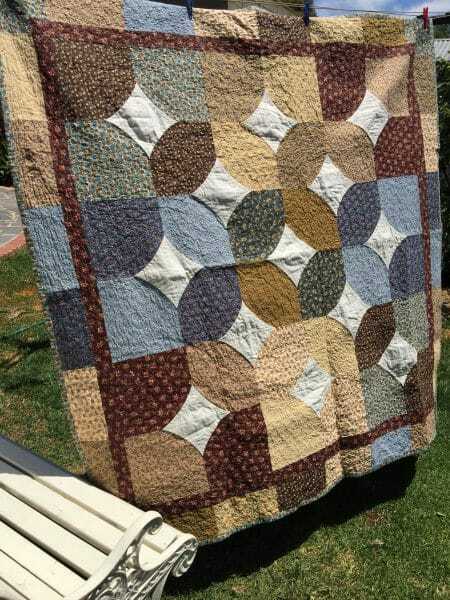 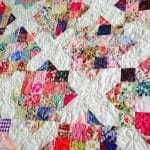 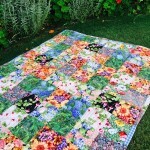 I free motion quilted the whole quilt except the calico blocks, with forget-me-nots. 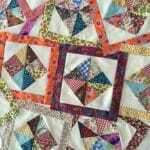 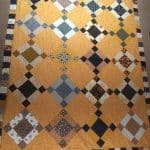 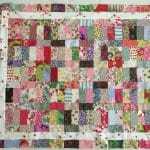 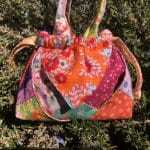 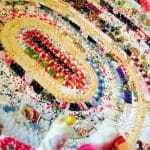 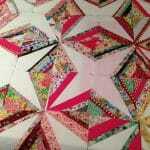 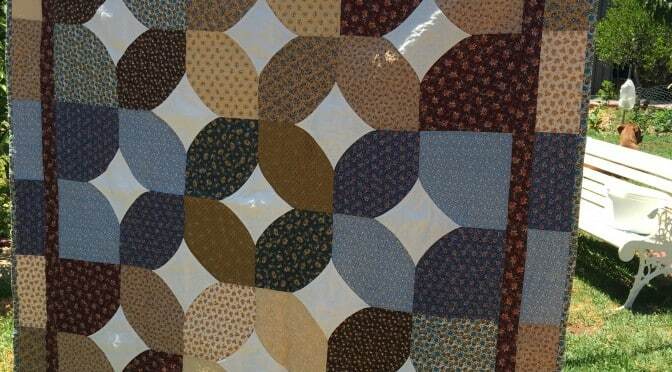 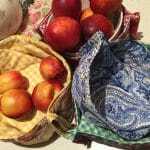 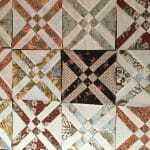 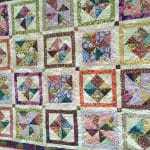 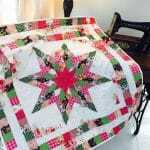 The complimentary backing is made from four squares of fabrics which were used on the front of the quilt. To date, he has not taken the quilt home. 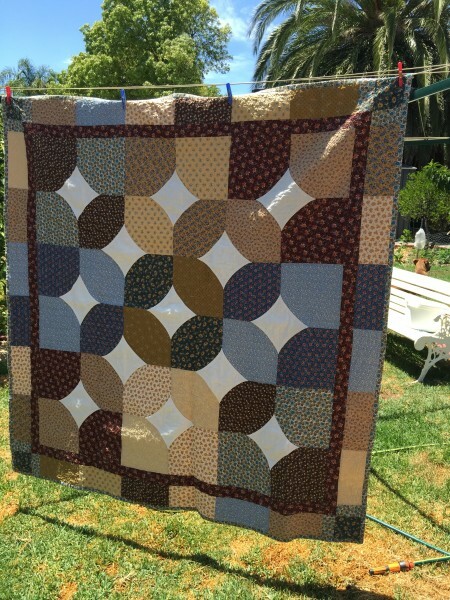 He says it’s too good to use…what can one do….. I made one for my mother and she has never used it either, on a more positive everyone else flogs theirs!